Fathom Events knows its way into fans’ hearts, doesn’t it? 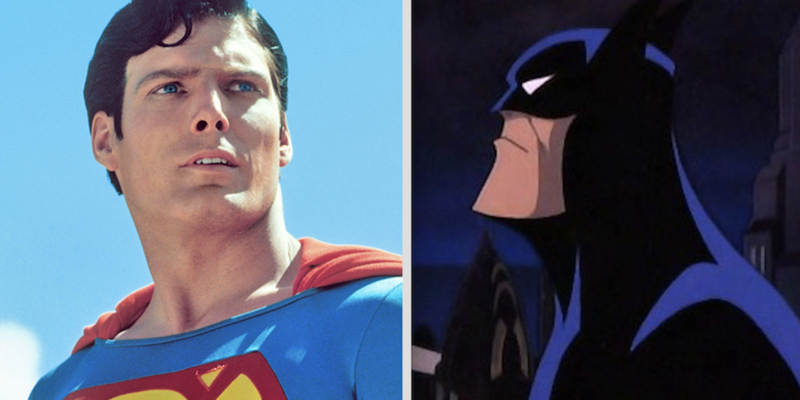 Both Superman: The Movie and Batman: Mask of the Phantasm will be returning to the big screen for (extremely) limited engagements later this fall. Superman, of course, is celebrating its 40th anniversary this December and Mask of the Phantasm is hitting its 25th the same month. Superman will be in participating theaters for three dates: 11/25, 11/27 and 12/3. In old-school movie-house fashion, the film will be preceded by the classic Fleischer Superman short Mechanical Monsters. Mask of the Phantasm will have a one-day engagement 11/12 and will be paired with a recent Looney Tunes entry. For ticketing info, click here for Superman and click here for Batman. — 13 QUICK THOUGHTS: Why CHRISTOPHER REEVE Was the Greatest SUPERMAN Ever. Click here. — KEVIN NOWLAN Lifts the Veil on His BATMAN Animated Designs. Click here. Saw them both earlier this at the Alamo Drafthouse in Yonkers. I saw Superman on the big screen when I was a kid and it was great to see the extended version on the big screen. Phantasm was great too since I missed it when it first came out. It was the Blu-ray on a big screen, but still cool. I was there the night Superman: The Extended Cut was in Yonkers, too. It was a kick to see it on the big screen. I got my tickets for Superman, and now that I know about Phantasm, I’m going to have to see it as well. I saw both of these in their original theatrical runs, so it will be fun to do it again! Superman is my favorite film of all time, and Phantasm is arguably the best Batman film of all, so you can’t go wrong! Only 1 night??!! And, a Monday….argh. I’ll have class so I’ll have to miss it. Just realized that is Veteran’s Day…campus is closed. Already bought my tickets. When this movie was first release I took my 3 year old son to see it. All of my kids grew up on the BTAS version of BATMAN.